I have been a volunteer at the Langdon Down Museum of Learning Disability since the Museum opened over two years ago. The number of volunteers has varied between three and five. My interest in the old Normansfield Hospital began in the 1970s when I discovered it included a 19th century theatre, still intact. Other volunteers have joined because of their interest in learning disability or local history. 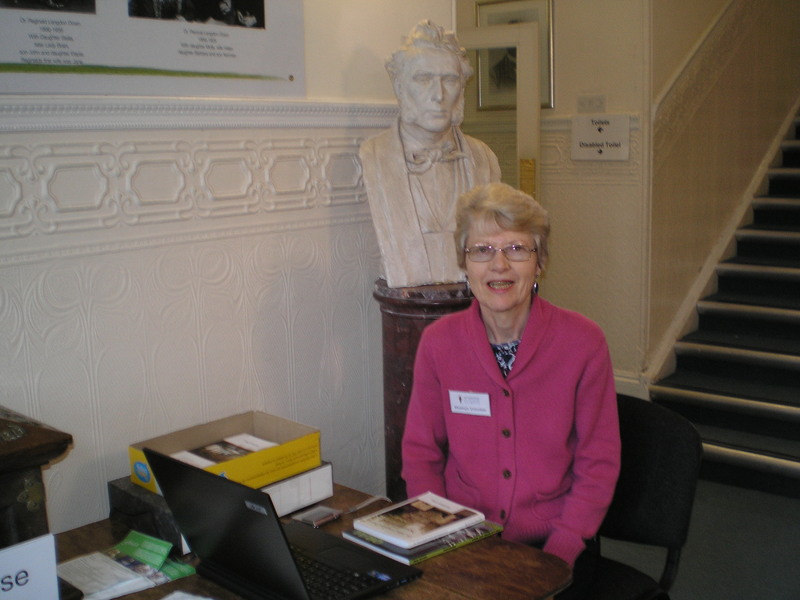 When the Museum is open, there is always a member of permanent staff on duty, usually with between one and three volunteers to assist. We meet and greet visitors and provide them with leaflets and information to suit their needs and interests. There is a progress meeting every two months between all the volunteers and the Archivist. We also take it in turns to attend the Museum Committee meetings, and we have attended meetings on U3A projects relating to Normansfield. 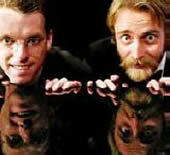 We go in to help with special events such as evening lectures, conferences or Open House weekends. We also sometimes help when there is a visit by one of the various groups such as schools, nurses, teenagers with learning disabilities or community groups. The volunteers worked with the Archivist on the content and commentary for the slideshow. 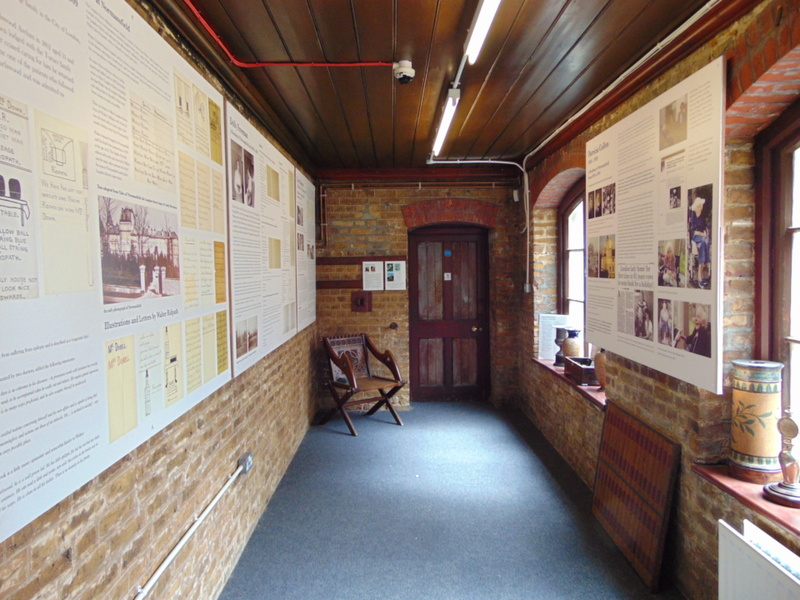 We have also worked on a number of the information panels, such as the timeline, the panel on the language and definitions of learning disability, and the panels on the filming of Downton Abbey at the Langdon Down Centre. We have carried out research on the residents of Normansfield, both in the records held there and at the London Metropolitan Archives, and have written text for the information boards on Normansfield residents in the 19th and 20th centuries. The Museum is running an oral history project and the volunteers have helped with this by using local knowledge to track down people associated with Normansfield, and by assisting at interviews. In January I had the chance to give a talk about Dr John Langdon Down and the Museum to the East Surrey branch of the Motor Neurone Disease Association. 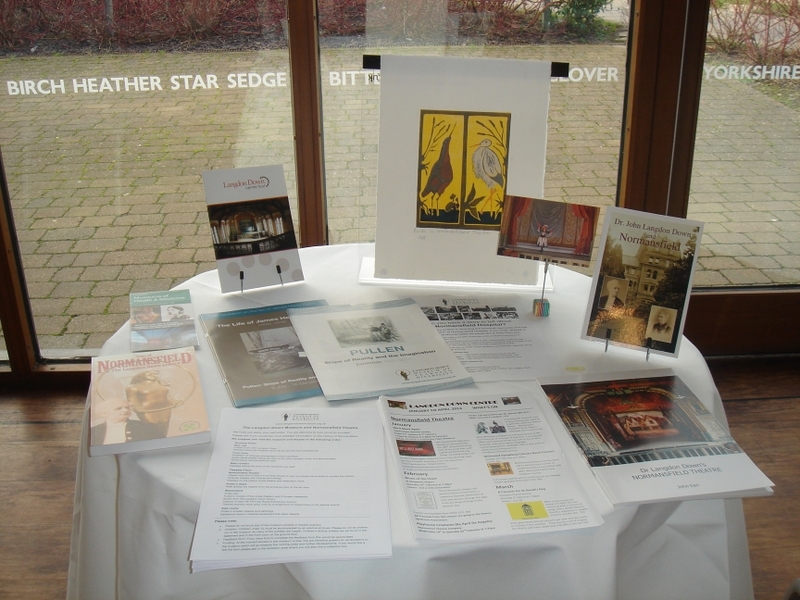 I created a display of books and pamphlets for this, pictured here. The Museum is an interesting and worthwhile place to volunteer. There is a full complement of volunteers at present, but keep an eye on the website if you would like to volunteer, and in the meantime please come and visit the museum!